- Due out after May. - Download size is around 60 to 100 MB. - Demo will be separate from the game storyline, with a number of abilities available from the start. - Open to all independent developers to submit games for PC, console digital download, and Web formats. - Final submission date: Monday, October 1st, 2007. 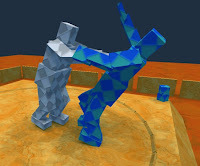 - Award for the best student games. Student 'mods' to existing games will be included this year. As a result, the number of Student Showcase winners will be increased slightly. - Final submission date: Monday, October 15th, 2007. Information about a new competition will also be revealed in due time. The IGF itself will take place alongside the earlier GDC 2008 at the Moscone Center in San Francisco - the awards will be the night of February 20th, 2008, and the IGF Pavilion will be open from February 20th-22nd, 2008. Ranking and Score Attack Mode are only accessible after completing the game once, but here's a cleared.bin file (with No Miss Clear replay) which can be unzipped in the temp_guxt folder (automatically created after running the game once) to unlock the new extras. - Trial Mode is now called Score Attack. 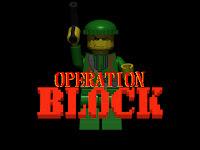 - The cleared.bin file from the previous version cannot be used to unlock this new mode, although all replays will work. 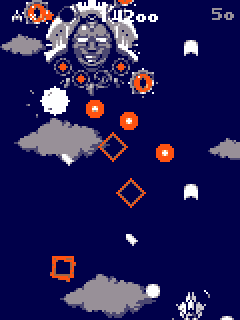 - Several sprites and enemy flight patterns changed. 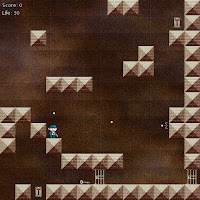 - An additional bonus (like Ikachan) can be found by shooting one of the middle tiles halfway through Stage 3. - There's a proper ending sequence now, in which the entire cast (enemy ships and bosses) are properly introduced as the credits roll. In MatheMagic, you take on the role of a young boy who is transported to the maths dimension by an evil mathemagician. You must stop his evil plan to divide by zero, simultaneously breaking the laws of mathematics and destroying the universe. The target audience is five to fifteen year olds. 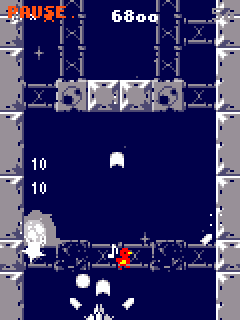 This is the current work-in-progress version lacking many more levels, a completed game engine and main menu. Postman (Shoot the Core) and Hunter will be collaborating with Bill Whitman on a comic strip. Grubby Games is currently working on a sequel to Professor Fizzwizzle. DigiPen Institute of Technology has a new campus set up in Singapore. Applications are accepted as of April 2007. More screenshots of Braid posted, featuring character art by Edmund McMillen. Another impressive-looking doujin 2D versus fighting game by NRF named Big Bang Beat, with a gameplay video posted to demonstrate the characters in action. Release date: 26th of June 2007. Sydney Treads the Catwalk announced. 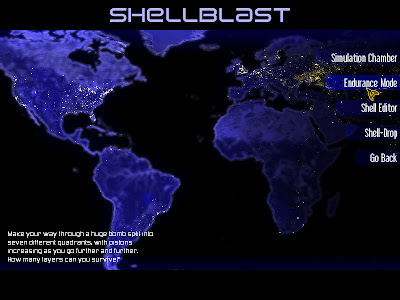 Shell Editor - make your own bomb from scratch to swap and share with friends, or play custom levels by others. - New music, along with a jukebox feature that lets you change tracks on the fly. GameTunnel's April Monthly Round-Up was recently posted. Trial and Ranking are two new additions to Guxt v.0.9.0.0 (previously unavailable for selection). Both options are only accessible after completing the game once, but here's a cleared.bin file which can be unzipped in the temp_guxt folder (automatically created after running the game once) to unlock the new extras. - the color of enemy bullets changed from red to orange. - you only get one ship for Trial mode, but your score will be saved in the Rankings section. 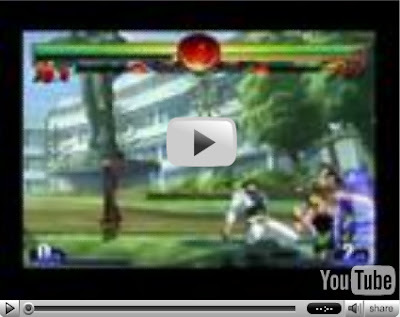 - the major difference between the normal and Trial mode is the inclusion of a final boss battle, pictured right. 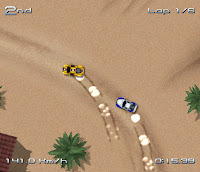 Click here to download a replay file for Trial mode. Drag and drop the play-record file into a running Guxt window to watch the replay. 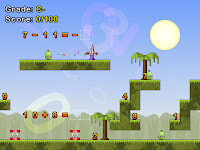 GameHippo.com, a site which featured a large collection of outdated freeware games, was recently sold due to Boson losing interest in the scene. More details will be revealed in the coming weeks, though it's quite certain that the new owner would be looking to recoup the amount spent on his investment one way or the other. Fairy Attackers is a brilliant retro platformer by Alpha Secret Base, creator of the excellent Umihara Kawase Shun tribute called Gambare Natsuki-San. Press the Z key to throw your weapon at enemies, or hold the down arrow key to use your shield and reflect harmful projectiles. The up arrow key can be used to open doors, activate objects and initiate conversations with other characters. Touch the stone with inscriptions to save your progress, or drink from the tiny fountain to restore health. Once you've gained a travel companion, press the C key to hold it for an additional float ability. A map can be accessed by using the S key. Millenipede is a PC version of the classic 8-bit shooter Centipede, developed in less than seven days. Your aim is to zap all of the centipedes on each wave, while dodging spiders, snails, mushrooms and the centipedes themselves. 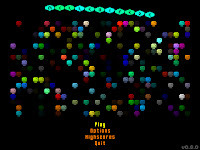 They'll make their way down the screen until eventually they hit the bottom, and at that point they will roam around the player area until you shoot them. Centipedes will grow into a mushroom when shot at, which serves no purpose aside from blocking the movement of other centipedes and hindering your bullets. Each mushroom takes four shots to completely destroy. If you touch any enemy, be it a centipede, spider or snail, you lose a ship. Use the cursor keys to move around and hold the left control key to shoot. Barbie Seahorse Adventures is a delightful little platformer developed by a couple of PyWeek competition veterans. 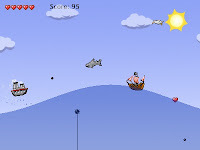 The objective of the game is to guide a seahorse to the end of each level while collecting items and bonuses. 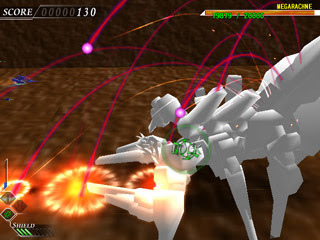 Three shots are needed in order to encapsulate an enemy in a bubble. Grab a power-up to cut this requirement down to one. Press the X key to shoot and use the Z key to jump. Bubbles can be used to reach higher ground. 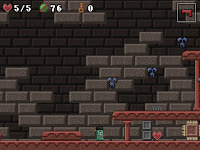 The deluxe version features ten new levels and doesn't require the installation of Pygame. 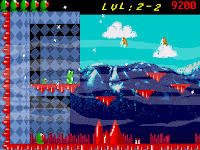 Questy is an original platformer with retro graphics created by smila in less than five hours, though the engine was from a previous release. Two stages only. In the story mode, you will go through five different phases of play, and then face the final boss in the sixth phase. The story mode starts easy, but you should find it quite challenging in the last few phases. 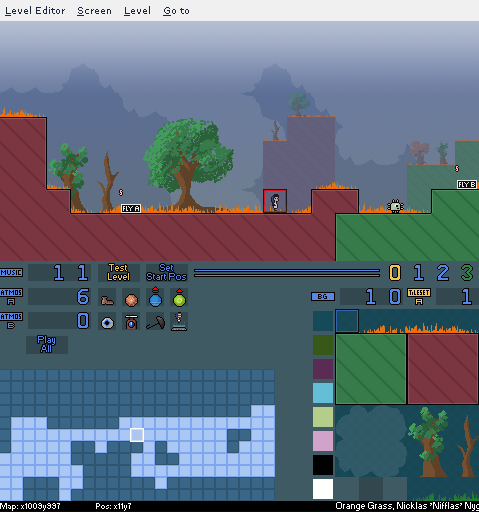 Endless mode will put you up against waves after waves of enemies, with twelve different phases. There are little health power ups that give you one heart back if you have lost them while battling enemies. Stick is a side-scroller beat'em up featuring sticks as characters. The game offers plenty of action, lots of melee combat, and hordes of enemies willing to crack your head open. Use the Z, X and C keys to execute basic or advanced moves. Collect weapons to deal extra damage, or gather medkit to restore a portion of your health. Press the space, left control or any of the numeral keys at the top of your keyboard to switch inventory items. One playable level only. darthlupi has a new game out which is still in it's early stages, entitled Battle Battle. The next Ludum Dare competition will begin on the 28th of April. Wolverine (Into the Eagle's Nest) is working on a new platformer. Screenshot pictured below. The demo of Copic Fighter has been updated to 0.3.0. 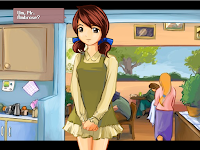 The new version features ten updated sprites, as well as changes to the gameplay mechanics and bug fixes. Still no new content in terms of additional stages, so this update is primarily tweaks and fixes. Make sure to check the Readme for instructions. Here's an alternative list by everyone, in alphabetical order. 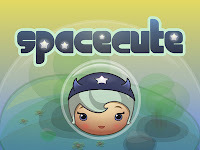 SpaceCute - indie game making challenge! Danc over at Lost Garden is performing an interesting experiment. He is creating some very high quality graphics and describing a basic game mechanic. Anyone who is interested is invited to take those graphics and core ideas and create a game prototype. In turn, what everyone learns from each prototype is going to be fed back into the game description and further games created. It sounds like a very interesting and fun experiment... If you enjoy building indie games as well as playing them, go grab the graphics pack and create something! Here is the original post with the challenge, and here is a follow up post. Parody Fighter Special Heroes Dynamite is a doujin fighting game with a very novel idea, featuring female cosplayers dressed up as characters from classic 2D fighters such as the Street Fighter series, World Heroes and Fatal Fury. Click on the fourth blue button underneath the large image to download the trial version. Additional configuration is required to unpack the zip file. Open the control panel located in your start menu, then select regional and language options. Choose the languages tab and check the box for East Asian languages installation. Select the advanced tab next and choose Japanese as the default language for non-Unicode programs. You will then be prompted for the operating system installation CD. The computer has to be restarted once the entire process is completed. Control configuration is required in order to map the arrow keys for character movement. From Retro Remakes comes news of a new remake of LionHeart. Here's the demo. The Podunkian reviews Binary Land. 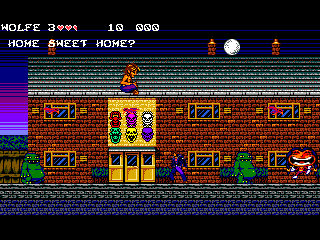 Super Marionoid is another Game Maker production that is set to follow the footsteps of Duck Doom Deluxe. 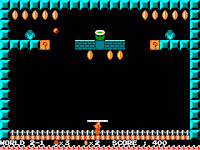 Sprites from Nintendo's classic platformer were used to replace the dull bricks and objects found in Taito's arcade title. 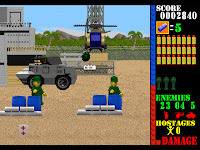 The save game feature does come in handy, especially when considering that the difficulty is rather high and there's twenty-eight levels to beat. Press the Q key to quit at any time. In Dr. Lutz and the Time Travel Machine, Dr. Abraham Lutz is desperately trying to prove his own theories about why dinosaurs vanished from Earth sixty-five million years ago. And the only way to do that is going to the Jurassic period by using a time machine. Right click to cycle through the various interaction choices. A short game with some awkward combination puzzles and a rather abrupt ending, but charming enough to hold your attention until the end. A Small World is a short platformer game by JaJ, featuring the standard set of challenges, an obligatory boss fight and one or two secret areas to discover. 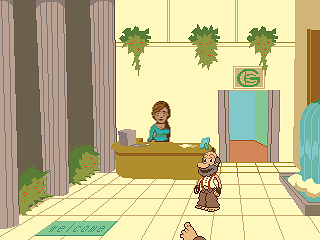 Save and load game options are included, while your character's health can be restored by drinking from fountains. Press the down arrow key to start a conversation or interact with other objects. 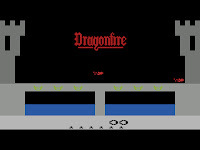 Dragonfire is a simple game consisting of two screens. Your kingdom has been taken over by dragons and it's your duty as the Prince to get all the king's treasures back from those nasty dragons. First you must traverse the drawbridge to the castle while dodging fireballs being shot towards you by the dragon. You must use quick reflexes to duck under the high ones and jump over the low ones. If you make it to the other side you'll find yourself in a a room full of treasures as well as a rather large dragon at the bottom of the screen. 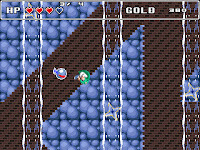 You must then gather the treasure as quickly as possible without falling victim to the dragon's fireballs. When you collect all the treasures an exit appears and you start over again, but with a higher difficulty than before. Get hit a total of seven times and the game is over. Nine castles in total to plunder. Eyes of the Jade Sphinx is an old adventure game by Dave Gilbert which was released more than half a decade ago. 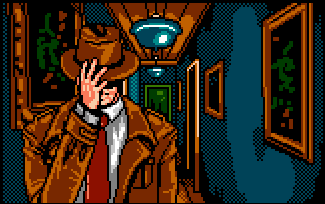 A classic detective story, though the version made available for download should be considered a short demo at best. Hermes is a PyWeek competition entry partially inspired by Free Lunch Design's Icy Tower. As an ancient god your mission is to deliver messages to gods settled in height of Olympia. The climb is long, but you will be rewarded with a high score if you manage to reach far enough to surpass the last one. 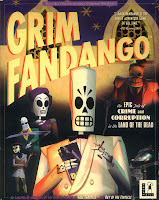 Featuring pleasant music and cartoony graphics. dessgeega is reviewing a bunch of noteworthy games on a new site. A great read, and definitely a bookmark item! 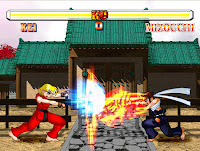 The first demo for Copic Fighter has been released this morning on Mentisworks. 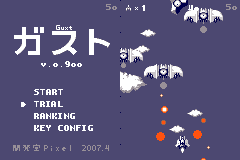 It features classic shmup mechanics, with a little twist in terms of presentation. The intention with Copic Fighter was to move towards the art game realm in terms of overall style. All artwork, sounds, and music in Copic Fighter are original, and unique. 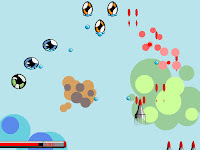 At the same time, controls should be quite familiar, as you move with the arrow keys and shoot with Z. Additional controls are outlined in the Readme file, which you should also check for installation instructions. A little twist to the gameplay is that each shot fired uses up your Ink, indicated by a meter. Collect Ink left behind by destroyed enemies to replenish your supply. The demo for Homeland features a portion of the full game, which is set for a release at the end of this year. 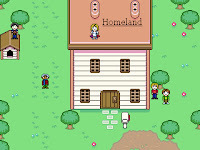 Developed using RPG Maker, this tribute adapts a similar style found in Earthbound but features a completely different set of sprites and graphics. Expect to find plenty of humorous conversations, an eclectic collection of enemies to bash, useless quests and obscure inventory items to clutter your inventory space. A worthy tribute to Shigesato Itoi's console classic. 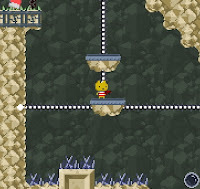 Bubble Kong is a delightful little platformer developed by a couple of PyWeek competition veterans. 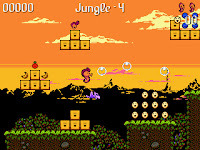 The objective of the game is to guide a seahorse to the end of each level while collecting items and bonuses. Requires the installation of Python and Pygame. xii games is currently seeking a background artist for their upcoming adventure game (paid position). The game is set in a not-so-distant future when a particle physicist’s mysterious and spectacular death sparks a race to find his hidden vault and claim his terrifying new discovery. OEDb recently published a guide to Video Game Degrees and Careers. Latest PyWeek Competition entries can be found on this page.